A diabetic cat needs a special diet. At first, it may seem daunting to provide the correct food for your feline friend since there are so many different diabetic cat foods on the market. There are two main factors to consider when choosing the ideal diabetic cat food. First, it should contain mostly meat and not meat byproducts. (Cats are supposed to eat fresh meat – it’s by far the healthiest option for them.) 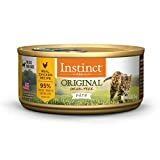 In this list we include dry foods for cat owners who prefer that, but optimally you’d buy wet food. The second most important component is that your diabetic cat food contains healthy fats. In general, diabetic cat foods should have low or no grains in them to reduce the amount of carbohydrates and to remain mostly meat. Some diabetic cat foods are high fiber to keep cats fuller, longer. Other cat food makers take a low fat approach, thinking that might help with weight loss. No matter what, there is a cat food for each individual cat’s needs. Let’s take a closer look at some of the range! This comes in a range of 5 flavors and is made in North America with all-natural ingredients. 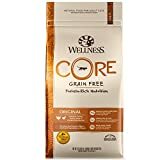 It’s rich in nutrients, so if you’re currently feeding your cat something of lower quality, ease them into the new diet by adding more of this to their meal every day over the course of a week. My cat is obsessed with it! My cat always cleans his bowl these days. Formulated similar to what ancient cats would have eaten with meat, poultry, a dash of veg and a soupcon of fruit. Balanced nutrition for cats of all ages. My three cats devoured the whole can in a matter of minutes! The dry version of our #1 pick. Cats approved! Worth every penny. This formula was inspired by the diet of the lynx, and is rich in protein. As with all dry foods, it’s a good idea to supplement it with some wet food (or raw meat) since that’s where your cat will get most of its water intake. This product is made in the USA and is wildly popular. Helped my cat lose weight! Delighted! Made of only the finest ingredients and contains no chicken or poultry by products, corn, soy, artificial flavorings, or wheat. This is a tremendous product with thousands of ecstatic cat owners who swear by it. It’s 0% grain and only 9% fat. The ultra-high protein count makes it great for diabetic cats. Don’t worry that it doesn’t have added Taurine – there’s more than enough in the meat itself, and the large numbers you see on the packaging refer to the flavor. #1 is the ever-popular chicken. 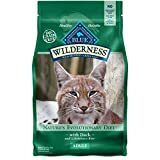 Lowest priced premium cat food! I hate to sound so negative, but, I have a cat that is diabetic that has been in remission for years now. I have researched cat food to a ridiculous extent. Anyone that knows about diabetes really well knows that the absolute worst thing you can do is fed your cat dry food, period. It all has far too many carbs, all of it! Secondly, I will never ever feed my cats a Hills food again. That’s what made her diabetic in the first place. 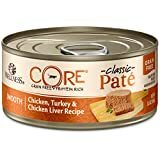 If you really want the best food for your cat, try Rad Cat Raw (it needs to be mixed with a good canned food), Hound & Gatos Canned Rabbit, Tiki Cat canned Koolina Luau & Puka Puka Luau varieties only, Wellness Core Canned is ok but I think it’s gone downhill and I would not feed the non Core varieties. The only dry food that is low enough in carbs is Young Again Carb Free and it has to be ordered direct online. Thanks to Melissa Thornton for that. And thanks to you for checking out this post. We hope you enjoyed our list of Diabetic Cat Foods, and wish you and your kitty the very best of health!